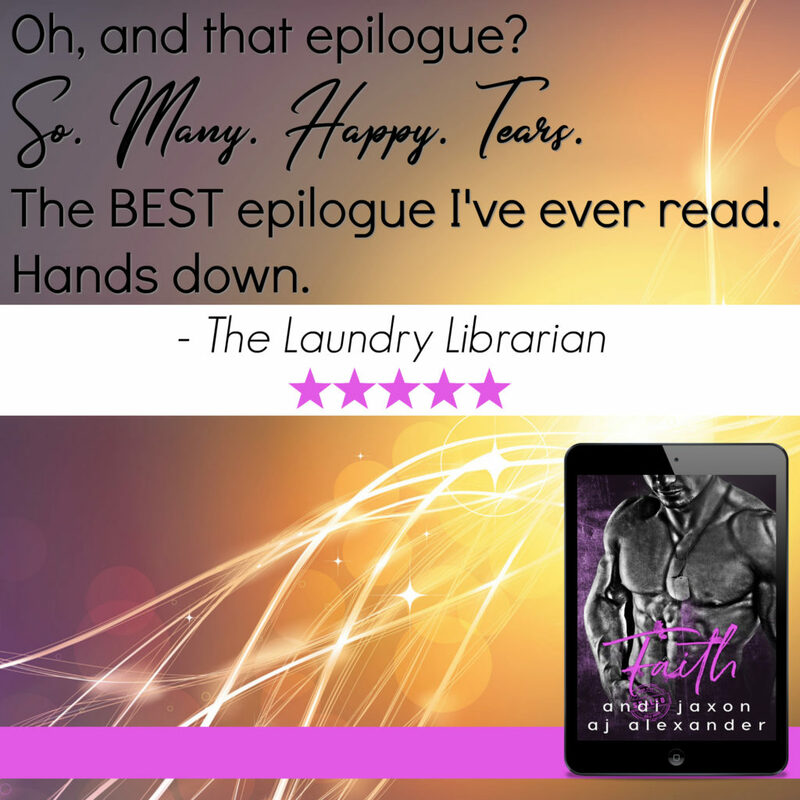 Faith by Andi Jaxon and AJ Alexander is available now and #FREE in KindleUnlimited! This is the fifth and final book in the series, I do feel it could be read as a standalone, the couples from the previous books do feature but you don’t need to know their stories to enjoy this book. This is Justin or LT story, and I have to say it’s my favourite of the series. LT watches his friends find their happy ever after a and feels that not in the cards for him, after much persuasion from his sister he signs up for a pen friend while he’s deployed. 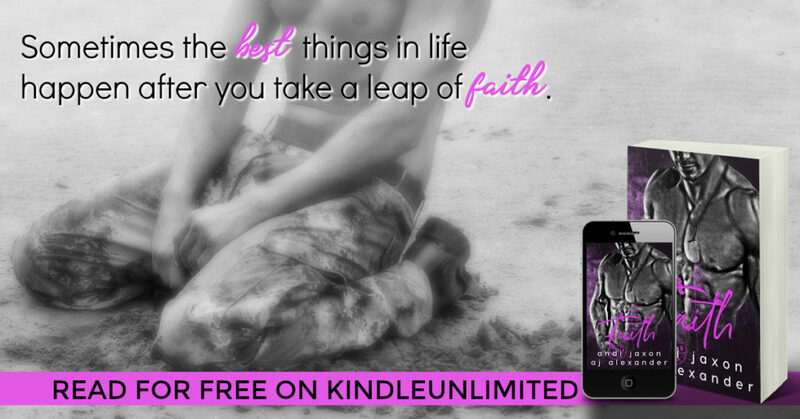 Because is a widower and mother to an adorable daughter, she signs up to be a pen friend not expecting to find love, her husband was a marine, killed while on deployment. Can she open her heart again to another man in the military? Or will she walk away before giving him a chance as she’s scared of loosing him? You will have to read to find out!